Fabulous remote countryside, friendly staff and local people, a good balance between challenge and fun. Having done a number of treks in this part of the world, this was a truly unique experience which has left indelible memories of vast and untamed landscapes, with extraordinary rock formations such as I have never seen before. We were superbly looked after by our crew who, after each day's hard trek, fed us like kings and anticipated our every need - who could want for more? Zanskar is a small Tibetan Buddhist Kingdom, lying just north of the main Himalayan range and about 120 miles long. It is part of the former Kingdom of Ladakh, and up until relatively recent times, its two ‘Kings’, or Gyalpos (precious rulers) mediated local disputes and in ancient times collected taxes for the main King of Ladakh. Zanskar’s scenery is powerful and dramatic; gorges, aluvial fans, snow-capped mountains, villages perched above precipices, cliff temples, old fortresses, prayer-flagged passes, chortens, cantilevered Tibetan-style wooden bridges and there even still exist a small number of the traditional suspension bridges made entirely from birch twigs. In the winter conditions are harsh, with temperatures dropping to -30oC, or worse, but in the summer it is dry and sunny and Zanskaris work hard to grow and harvest their crops of barley, buckwheat, peas and some potatoes. Zanskar itself is closed in the winter by snow-bound passes of over 4,900m/16,000ft. It is a land of mystical content; every village has a gompa or lakhang (monastery, or temple) and hermit monks (Yogins) still live in caves. In the summer, a rough single track road opens over the Pensi La Pass to the main township of Padum. Apart from this one township, Zanskar’s people live in small villages and hamlets, whose houses are traditionally made of mud bricks with flat-topped roofs and are painted white, or ochre. The people carry on a rural way of life, much as they have done down the centuries. Our Zanskar trek takes us completely off the beaten track, trekking through very remote country. Starting near Mount Nun, we gradually make our way through the mountains to Zanskar, before trekking up through a series of gorges leading to the highest peak in the Zanskar range, Kang Yatse, 6,400m/21,500ft. These gorges can only be navigated in September when water levels are low, as there are many river crossings, beyond which the Zanskar trek reveals mysterious hidden landscapes. This is a full-on, challenging trek and will rank alongside any of your life’s best achievements! “Of all the trips I have ever done in the Himalaya, this trek ranks alongside the very best, including my visits to Lunana in Bhutan, Mount Kailash in Tibet, and Upper Dolpo in Nepal. It contains certainly the most dramatic and adventurous trekking of them all. Virtually every day there are jaw-dropping gorges to pass through, rivers to wade across, exciting and quite exposed cliff paths to negotiate, and a whole collection of passes in excess of 16,000 ft from which tantalising views beckon you onwards. You see wildlife - including herds of ibex and blue sheep, and fresh snow leopard and brown bear tracks. On the first half of the trek as far as Zangla, we saw no other Europeans on the trail itself, meeting only four Belgians at the village of Lingshed. On the final section we met a tiny handful of people, and you could say we virtually had the whole trek to ourselves. We went for days on end without seeing any human habitation, and at other times we passed through extremely pretty Ladakhi villages with their beautiful monasteries and genuinely friendly people.” (Steve Berry, MD, Mountain Kingdoms). Meal arrangements: Bed and Breakfast in Delhi, all meals in all other hotels and on trek. 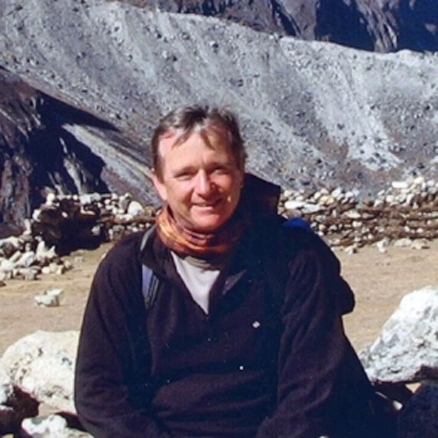 David is widely travelled in the Himalaya, and in particular Nepal which he first visited at the end of the overland “Hippy Trail”, back in 1978. He has subsequently led treks and cultural tours in Tibet, Bhutan, Nepal, Kazakhstan and Kazakhstan (Celestial Mountains). He has also explored remote parts of Peru, where he found the Copper Mines his explorer ancestor worked, over 100 years ago. In Venezuela he took part in the first ascent of Nanoy Tepui after climbing Mount Roraima. David has also booked a sub-orbital space flight with Virgin Galactic and is a Fellow of The Royal Geographical Society. Day 2 - Arrive Delhi. Group transfer to hotel. Afternoon sightseeing tour by rickshaw of Old Delhi. On arrival you will be met and transferred to your Delhi hotel. In the afternoon you will do some sightseeing in Old Delhi. You will be guided to the excellent modern metro and take the metro train from Delhi Aero City metro station (just 5 minutes walk from hotel front door) to Chandni Chowk. Here you'll take traditional cycle rickshaws into the hustle and bustle of the spice market, and then on to nearby Jama Masjid Mosque (one of the largest in India) and then to the Red Fort. Day 3 - Fly to Leh, 3,500m/11,500ft. At a very early hour, you transfer back to the domestic airport for the early morning flight to Ladakh. This surely is one of the most sensational scheduled flights in the world, taking you right over the top of the Greater Himalaya before dropping down in a series of steep turns to land at the small military airport at Leh. During the flight you should get good views of the distant Karakoram including K2, the second highest mountain in the world, and will pass over some of the highest peaks in Jammu & Kashmir - which includes Ladakh. Flight time approx. 70 minutes. You will be met on arrival and driven through Leh to check in to your hotel for your overnight stay. We recommend that the rest of the day be spent resting to help adjust to the altitude. Day 4 - Gentle sightseeing and time at leisure in Leh. You will again take it easy today and take a tour of the town, as you gradually acclimatise to the high altitude. The characteristic large chortens, prayer flags and mud brick houses with flat roofs are a dramatic culture change from the hot, teeming frenetic rush of Delhi and you will soon see that Leh is a very Tibetan looking town. The 16th century Royal Palace, which dominates the town, is very reminiscent of the Potala in Lhasa and other Tibetan Buddhist monasteries. You will visit the palace and also poke around the nearby bazaars, but if you're feeling really keen and strong, you can walk out to one of the villages just to the north. Or you could meander slowly up the many steps to Tsemo Gompa and Shanti Stupa from where there are great views. Alternatively, if feeling less energetic, the Central Asian Museum, situated just north of the main bazaar is an excellent introduction to the region. Day 5 - Drive to Ridzong Gompa. Drive To Alchi, 3,130m/10,269ft, and view temples. Today you start out for the road-head and the beginning of the trek. It takes two days to drive west to the start of the trek, taking the road that eventually crosses the Zoji La Pass to Srinagar. It is a beautiful and exciting journey in its own right and provides further valuable acclimatisation. This first day's drive is a relatively easy one, again to help you adjust. Driving out of town you descend the plain, passing by numerous military barracks and compounds that are situated close to the airport. Near the end of the runway, you will pass Spituk Gompa and it then takes about an hour to get to the confluence between the Indus River and the Zanskar River. You then pass through the villages of Nimu and Basgo before turning off up the ravine towards Ridzong Gompa. Basgo has a fine old castle and interesting cliffs. It is the place where an early Ladakhi king and his Kashmiri allies defeated a Tibetan/Mongolian army. The road up to Ridzong is of fairly new construction as the old one was washed away in a flood in 2007. The drive to Ridzong takes about 2 hours in total. It is a fantastic monastery built across the head of the gorge and actually is only 135 years old. It is Gelukpa Sect, and therefore Yellow Hat, and in fact the Dalai Lama visited the monastery in 2009. It has some fine temples and is well worth a look round. You then drive back the way you came and cross the Indus River to arrive at Alchi. Here we will have lunch in a garden restaurant just near the temples. Try the apricot juice drink - absolutely delicious. In the afternoon, you will take a look around the temples and for those who are acclimatising well and still have energy and enthusiasm, we suggest a walk up to the village above the temples where there is another small monastery, built between the 13th and 15th centuries, under renovation at present. This is a very pretty little walk and a nice chance to meet local people. Day 6 - Drive to Changyul camp, 3,780m/12,401ft – 5-6 hours. It is a relatively short drive to Lamayuru, 3,530m/11,581ft, 2½ hours' drive. The road has undergone major improvements and is hard surfaced now, making the journey much more comfortable. On the way to Lamayuru you will pass a police check-post at Khaltse, 3,000m/9,842ft, where police will want to see your passports. You will also pass a spectacular white 'moonscape' close to Lamayuru. This Lacustrine sedimentation is the remnant of the 105m thick palaeolake, the depletion of which is thought to have been caused by structural disruption of the lake floor triggered by pulses of tectonic activity. Lamayuru is certainly worth a decent look round. The main monastery on top of the hill, is certainly wealthy and in good condition, but below it are some very ancient parts that are falling into ruin, though there is a very old temple at the bottom of this that has some extremely old statues and is well cared for. Leaving Lamayuru, it is now a half-hour climb to cross the Fotu La Pass, 4,108m/13,479ft. Beyond here there is another big pass to cross called the Namikala Pass, 3,825m/12,550ft). This is just one hour on from the Fotu La Pass; and another half an hour further on from here is a small village called Mulbek, 3,360m/11,023ft, where there is an incredible statue of Maitreya, Buddha of the future. It is said to date from about 700 AD and is eight metres high. You now continue driving towards Kargil, but after only half an hour, turn off the main road and climb slowly over the Sapi La pass on your way towards Gill. The pass is 4,350m/14,271ft, and it takes about an hour and a half from leaving the main road to the top of the pass. In 2018 the road is hard top all the way. Look out for intriguing small gompa seemingly built right into an isolated rocky bluff high above the road near Sapi La. You camp next to the river right at the bottom of the valley, beyond Gill, at a place called Changyul. After meeting the trek crew and settling into your tents and enjoying a welcome hot cup of tea, you might like to stretch your legs with an hour's easy walk around the spread out village, in 2016 a new monastery / temple was under construction - maybe by now it will be completed. Also a chance to walk through the fields and probably encounter many of the villagers busy with their harvest. The monastery was originally founded by the famous Indian scholar, Naropa (956-1041 AD). Allegedly, he caused a lake to dry up which had previously filled the valley. However, the oldest surviving building at Lamayuru is a temple called Seng-ge-sgang which is attributed to the famous monk-builder, Rinchen Zangpo. During the time when General Zorawar Singh, invaded Ladakh from Kashmir, the monks smuggled all the valuable works of art out of the monastery and hid them in the mountains until the invaders went back to Kashmir. They then brought them back to the monastery and they are there to this day. Lamayuru belongs to the Red Hat Sect of Buddhism and in the past housed up to 400 Lamas. Today there are about 50 Lamas living here. In the 16th century Ladakh's king, Jamyang Namgyal, was cured of leprosy by a Lama from Tibet. In gratitude, the King gave the gompa to this Lama and also bestowed other privileges. No taxes were to be collected and the area surrounding the monastery was declared a sanctuary where no-one could be arrested. This is why today Ladakh still refers to Lamayuru as Tharpa Ling, 'the place of freedom'. Day 7 - Trek to base of Rusi La, 4,430m/14,534ft - 5-6 hours. A journey of a thousand miles has to start with a single step, and today you start out on your way towards Zanskar. These first three days are, again, essential acclimatisation before you start out on the main trek from Ringdom Gompa. This country is in marked contrast to the gorges you will see later on. To begin with, you will have noticed yesterday crossing the Sapi La that the villages on the way up had small mosques, and the land is generally greener then typical Ladakh high desert we will encounter later on. As you now proceed toward the Suru valley, again the villages we pass are Muslim. The houses themselves look just like Tibetan village houses, that is to say, made of mud bricks with a flat roof and, indeed, there is a bit of a mix of Buddhism and Islam in this area. Leaving camp, you cross the bridge, and then the path climbs steadily up and around the blunt rocky peak. After an hour you reach an indistinct ridge which you follow upwards, at one point getting quite close under the rocky peak, before contouring around to reach a small unnamed pass, 4,375m/14,354ft. Probably three hours to this point. Here you will see there are lots of marmots in evidence, and listen out for their shrill cries of alarm at your approach. There follows a shallow descent which takes you to a lunch stop under a big rock slab with boulders at its base. You then curve round to enter a high valley at the head of which is a cirque of impressive rocky peaks and a long, high ridge. Your camp site is in a flat area under the lee of a large lone lump of rock with a stream below. There are fabulous views from the campsite. These first three days are each 9-10km each, so easier days to set yourself up with a good acclimatisation base before the main trek, with longer days, begins. Day 8 - Cross Rusi La Pass, 4,900m/16,000ft. Trek to pasture camp, 4,261m/13,980ft – 5-6 hours. From camp it is a long, slow, steady pull for about an hour to reach a cairn on a ridge. Then walking up the ridge you reach a saddle after about half an hour or so and then climb steeply up to reach the top ridge. Here it might be quite windy, though there are great views in all directions and you may well be able to see Mt. Nun, 7,135m/23,410ft. From the ridge proper, you can see the pass ahead just across from you. It entails a shaley traverse possibly between banks of old snow. Of course, the amount of snow might vary from year to year, and there was no snow in 2018. From the prayer-flagged pass you can, if you feel keen, walk up a further ten or fifteen minutes along the ridgeline to another cairn for even better views. Then it is a long way down the scree mountainside on the southern face to a dry gully where you may have lunch on some large slabs of rock. Then it is on down and down, eventually through nice meadows with a stream to one side. At the bottom of the valley the river turns right. Here you will climb (6-7 minutes) up a steep shale bank and then contour around another stream valley to the left. The campsite is at the head of this valley - a very pleasant spot with a huge rock peak blocking the end of the valley. In the afternoon, you might like to go back down and watch the marmots. Try tempting them out their burrows with a line of biscuits from the entrance. Day 9 - Cross Chardo La pass, 4,380m/14,370ft – 2½ hours. End first stage of the trek. Meet jeeps in Bealchum. Drive to Namsuru, 4,261m/13,980ft. It is fifteen minutes easy walking to the pass itself, which is actually unmarked for a change, and gives good views down into a deep, deep valley. In 2018 fresh snow leopard tracks were seen on the path down from the pass. Towards the bottom of this you can see a patchwork of fields and a village. Bear in mind that the people in these villages will have seen very few foreigners at all, if ever. Beyond the village the valley deepens into a gorge with the occasional small hamlet or village in the bottom and signs of electricity appearing. Again, these villages have small mosques. The people will almost certainly be busy out in the fields bringing in their crops. You will meet the jeeps in the first village at start of black top (Bealchum). There are many sections of active road construction/blacktopping descending the valley. The vehicles will also bring you your first re-supply of fresh foodstuffs. The road is pretty rough and you will be glad of 4x4 vehicles and can relax while looking at the beautiful scenery as you wind your way down to the much larger Suru valley. Driving up the Suru valley, you can appreciate that this is a much wealthier region with lots of cultivation and many orchards and larger settlements. As you drive further up the Suru Valley, you eventually come round a corner to be confronted with fantastic views of Nun and Kun framed at the end of the main valley. The twin peaks of Nun and Kun are the highest for 400 miles in every direction, Nun being slightly higher than Kun. It is the highest peak in Kashmir and Ladakh. The road you are now driving on is the one road that leads all the way through to the Kingdom of Zanskar over the Pensi La Pass, 4,401m/14,439ft. On your way up to Namsuru, there is a police post where your passports will be checked, before arriving at a lovely open campsite in fields beside the main river. Between walking and driving, it should take around 7 hours from camp to camp. Day 10 - Optional walk over the Parkachik La - 3-4 hours. Drive to Ringdom Gompa, 4,100m/13,451ft - 3-4 hours. If the weather is fine, then we strongly recommend that you make the short 3-4 hr trek from Namsuru over the Parkachik La and down to the road on the other side, where you can then carry on the drive through to Ringdom Gompa. This little trek cuts off a huge bend in the road (approximately 2 hour drive) as it skirts past the Parktik Glacier. From this pass, there are absolutely sensational views of Nun and Kun. It should only take a couple of hours to walk up to the pass, and even less to descend to the road. There is plenty of time to do this little side trip and it is well worth it, passing a well-constructed old Mani wall and chortens on the ridge above the pass giving indications that this has not always been a Muslim region. It is lovely to look down on patchwork of fields - with many people cutting and stacking the harvest. You will no doubt see some local children as you walk through the village. There is a small basic tea shop where you will meet up with the vehicles at the river bridge beneath the glacier. The road now carries on up the valley following the Sangpoo River for about 35-40 km. Every winter the road gets closed by snowfall and avalanche and usually opens each year in June or July after the Indian army have cleared the way through. It is compelling scenery for the total length of the journey. You may well want to stop and take photos. After you meet the vehicles again, having trekked over the Parkachik La, the road climbs gently, but steadily up to Ringdom Gompa passing through Gulmatongas where there is a police post. Our MD's expedition in 1981 crossed the river here and climbed up the Shafat Glacier to reach the White Needle Peak and the east ridge of Nun. The drive is lengthy, and somewhat bumpy in places, but there are extensive views and marmots in abundance. You eventually arrive at Ringdom Gompa which sits on top of a solitary rocky outcrop in the middle of an otherwise large, flat valley. The village of Ringdom is a few kilometres from the monastery itself, and your passports will be checked again here. There are innumerable excellent camping spots, but ideally you will camp on the side of a knoll at the entrance to the valley ready for tomorrow morning. Depending on time available, you could visit the monastery in the afternoon. The monastery was built in the 16th century and at present has about 40 resident lamas. Everything about it seems incredibly ancient. The main temple and assembly hall have some impressive statues. It is a Yellow Hat, Gelukpa monastery. Day 11 - Trek to Hell Camp, 4,320m/14,173ft – 10 hours. After breakfast start trekking up the large valley heading east-northeast, which leads to the Kanji La. This is the way you will follow, but instead of crossing the Kanji La, you turn off to go over the Pudzong La Pass. For the first hour, or so, you walk on the riverbed and then the path gradually contours up the right-hand mountain-side. A huge, contorted cliff appears on the other side, thousands of feet high. Then below you, instead of sloping banks leading to the river plain, the river emerges from a square-cut gorge. This box canyon is made up of glacial deposit which the river, over millennia, has cut through. Your path has contoured the mountainside well above this. You will hear lots of squeaking marmots and see eagles soaring above. The gorge below is certainly very impressive and after some time, you will see an equally impressive side gorge entering from the other side of the river. After three hours, you stop for lunch at some old shepherds' stone huts, and one hour after that there is an easy river crossing. There is a camp just before the Kanji La turn off, but this is very small and not suitable for a group with a number of tents, so it's much better to continue to a nicer and far more spacious camp another 3 hours or so up the valley. This has a very unappealing name being called Hell Camp. Although this does not sound encouraging, it is actually a nice camp and the 3 hours hours extra trek from the small restricted site is well worth the extra effort, making this a long 24km day. You will therefore will continue to contour along parallel to the gorge below, with the path rising slightly. In about 40 minutes you will reach the Kanji La junction and 20 minutes or so beyond here, look back and you will see framed in the end of the valley magnificent views of the peaks of Nun and Kun. The gorge loses its vertical sides and another 2 hours further you come to the first of two rivers coming in from the right (at approx 21.5km). This valley is deep and rocky and you boulder hop across the river before the path zigzags up the far side. Approximately one hour beyond this is a second river coming in from the right, which you must wade across. The camp site is on an open plateau just beyond this crossing. Day 12 - Cross the Pudzong La Pass, 5,040m/16,535ft – 5 hours. This is an amazing day! From Hell Camp you turn up a stunningly beautiful valley with a snake-like stream coming down from a wall of snow-covered peaks at the end. You toil up the right-hand side of the valley wondering where the hell the pass is. It looks seriously difficult ahead, but in fact the pass itself is hidden out of sight. You carry on now to a shoulder which provides quite a nice rest spot and then descend to the river bed. This is about one and a half hours from Hell Camp. You now have to cross the stream several times, but at this time of the year it should be just easy boulder-hopping. You are now in the upper part of the valley and you may well come across snow banks covering the stream. Eventually, you exit the rocky river bed, finally climbing to a shoulder where some years there is the start of the snow approaching the pass. By now you will be able to see that your path leading to the pass is either an easy trail on broken shale or an easy snow-slog. Crampons and ice axes are unnecessary and it is unlikely you will need gaiters. 3 km distance from camp to pass with a 500m gain took 3 hours in 2016 when there was no snow; just 2 small snow/ice bridges to scramble around. So having taken three hours to get to the pass, it is now only a two hour descent to the valley some 900m/3,000ft below. Leaving the pass, snow slopes and then rocks lead to a gulch down which the zigzag path brings you out past fantastic pale gold rock walls and towers on either side to the wide valley. There are breathtaking views looking right down the sweeping valley to where you are going to camp tonight. We should say here also that the views from the Pudzong La are superb - snowy peaks in every direction. You will stop for lunch once out of the steeper sections although it may be cold and windy and you may wish to hurry on. The camp is at 4,150m amongst an area of clumpy small trees and bushes between the junctions of two streams, with fabulous views. Ahead, and framed at the end of the valley, is a distant pointed rock peak. Day 13 - Trek to Sumdo Camp beyond Dibling, 3,795m/12,450ft - 5½ hours. Leaving camp, you stroll easily down the left-hand side of the valley past some deserted houses and some unworked fields. Here you wade across (carrying your dry walking boots, obviously). Another hour from here brings you to the pretty village of Dibling where there are some 14 houses and a gompa. The monastery, as with virtually all Ladakhi villages, sits above the village and it is well worth the walk up to have a look around. It is a 75 year old, Yellow Hat temple (you are allowed to take photos inside), whose main figures are Shakyamuni Buddha, Chenrizig, Maitreya (Buddha of the future), and Zongkhapa (founder of the Gelukpa Yellow Hat Sect). It is indeed a pretty little village with substantial houses, nice chortens and surrounded by good fields. In fact, you may find that the village is empty as virtually everybody is out in the fields dealing with the harvest. Nevertheless, your Sirdar and his crew ought to be able to find somebody with a key to open up the temple for you to have a look around. That is, of course, if the resident monk is not 'at home'. It is quite incredible to think that this is the only village in this valley and that it is cut off from all other parts of Ladakh and Zanskar by very high passes. Again, it enjoys a Shangri-La setting and the people will have seen very few Westerners. Leaving the village, you follow an improved footpath and after a while some parts of the path are exposed, exciting and dramatic. You should get into camp reasonably early today and could well have time for washing clothes, etc. You camp on a lovely area overlooking the river below next to a river coming in from the left. The Ladakhi word for river junction is "sumdo", hence this is the first sumdo beyond Dibling. Day 14 - Trek towards Barmi La base, 4,215m/13,828ft – 5-6 hours. Another amazing day with fantastic rocky scenery! Cross the river on a brand new (but very small!) new bridge, with then a ten minute climb out of camp to a small col with prayer flags and then the path traverses sloping into the gorge. After an hour or so, you have a scrambly, airy path up and over the cliff. Sections have been traditionally engineered with branches and stones. It's in a sensational position - very exciting! There are further river crossings today and a small side stream that needs to be crossed. Eventually you cross the main river again to take you back to the left bank. The scenery is jaw-dropping - beetling cliffs with choughs and pigeons soaring the heights. Even eagles might come to see who these strangers are. You may encounter local people from the village of Dibling whose nearest place to shop is the village of Lingshed. It is some 9.5 km and three to 3.5 hours down the gorge to reach Lingshed Sumdo, 3,700m/12,139ft. Here a river and a path come in from the left and this is the route you will follow now towards the camp before the Barmi La Pass. You hop across the stream a few times and then this gorge gets even tighter and winds backwards and forwards, climbing all the time. Stop for lunch before the path makes a long, straight rising traverse ahead of you. After the traverse, you re-enter a narrow section of the gorge and look back now for fabulous views of snow-capped peaks framed by the wall of the gorge. Shortly after the 'narrows', you come out to a flat area to camp. In 2018 we decided to continue on for an extra hour, and ascend an extra 200m to a pleasant campsite on a small rounded plateau high in the valley at 4,215m, thus making tomorrow's climb a lot easier. Total distance today 16km in 6 hours. Day 15 - Cross the Barmi La Pass, 4,700m/15,419ft. Trek to Lingshed, 4,010m/13,156ft - 7½ hours. It is under two hours to the pass and an easy gradual path until the last 300 metres which is a little steeper. There are one or two places where you would not want to slip on the narrow path! Looking back, the views are inspiring - ranges of snow peaks. The pass itself is broad, with a chorten and prayer flags. It is such a thrill to get to the pass and look down into the valley containing the village and monastery of Lingshed and the peaks marching off into the far distance. It is a long and hot descent, but the views of Lingshed and its wonderful monastery go on improving. You now drop right down past houses and fields to traverse along and then around the Lingshed rock amphitheatre, and later climb back up again to reach the monastery and the camp site just above that. You will feel pretty flaked out by the time you get to camp. However, there is a small shop (If you are extremely lucky, there might even be bottles of beer in the shop). The camp site itself though is a bit stony and dusty, but with plenty of water from a pipe for washing or laundry. The monks and the young lads at the monastery are particularly welcoming and friendly and each evening they have a Puja (prayer session) which foreigners are welcome to attend. This is an excellent experience, sitting quietly watching the young boy monks being slightly naughty behind their elders' backs. You will probably be served yak butter tea and the ground barley flour, known as tsampa. All this time, the elder monks chant prayers, with the young monks joining in where they know the words. You enter the monastery through alleys and corridors and through a kitchen which is straight out of Gormenghast, to a plain room with big windows overlooking the valley. This simple room is where the Puja is held each evening. After the prayer session, a monk will probably be able to show you around the main temples. In 2018 the group bought prayer flags from a little shop to place on the passes. A monk from the monastery came to camp to bless them with a Puja for a successful trip. Day 16 - Cross the Murgum La Pass, 4,310m/14,140ft, cross The Kiupa La Pass, 4,465m/14,649ft, continue trekking to Yulchung, 4,000m/13,123ft - 7 hrs. The path winds its way from the monastery, climbing steadily under huge rock walls to a chorten which you reach after 30 minutes. Great views of the whole valley from here, and then you continue to climb to another large chorten, which is not actually quite a pass. It is an hour or so from camp to this point. So it is only about an hour and a half to the Murgum La and from here you look down into a deep valley with a small hamlet at the bottom and a steep mountainside blocking the way forward. Look closely and you will see the path zigzagging straight up this to the Kiupa La Pass. The village, or hamlet, at the bottom is Kyumpata. First though, you have to drop right down to the river, 4,040m/13,254ft. This is 3 to 3½ hours from Lingshed. Just before reaching the river, there is a nice little shelter with a small shop attached. Having crossed the river, you then start the long haul over the Kiupa La Pass. Take it slowly, you've got plenty of time. The path is pretty exposed in some places. There is a very nice chorten at the top, and on the other side of the pass you can see the main path to Lamayuru contouring round to the left. However, you head now straight down a shallow slope covered in strange plants and rhubarb and a little way down you come to a large mani wall, where you might stop for lunch. After lunch, you follow a rather indistinct path which funnels you down through two large rocky outcrops. It is almost like a secret path and brings you out above the village of Yulchung. The walking for the remainder of this day and virtually all of tomorrow is determined by new jeep tracks, which are unavoidable. Despite the dusty road, the scenery and position are still completely brilliant of course. Coming down towards Yulchung, you see only one large house standing above a patchwork of fields, and above it there is a small temple built near the top of a pile of rock which clearly drops into a gorge on the other side. However, the main thing dwarfing everything is a complete amphitheatre of orange/dun/grey rock mountains/cliffs/pinnacles. These are so vast and intricate that you may well spend ages just gazing in wonder picking out more and more features and looking at things through your binoculars. Harvest, like everywhere else in Ladakh, will probably be in full swing, and there may well be Ladakhis working in the fields below you. At this point, you cannot see the other houses of the village. It is most likely that you will camp on some disused terraces above the fields. If you look very carefully, you might be able to pick out a natural rock arch on the summit of one of the right-hand ridges, shaped like an eye. There are also strange, almost perfect small slender spires of rock, and much of the mountain is laced through with quartz. There are gorges within gorges, mountains in front of one another, and some that have little snow caps at the back. When the sun goes down, the colours are just glorious. It is also easy to imagine the faces of animals and demons in the great amphitheatre of mountains opposite you. Day 17 - Descend to the Zanskar River, 3,340m/10,958ft, trek to Nyerak village, 3,680m/12,073ft – 5½ hours. Please note that much of today's walk is along a dirt road. The day starts easily, traversing above the fields to the large house ahead of you. As you get close to the house, the other houses that comprise Yulchung come into view. They are equally magical. You may well indeed get invited into the large house which is a truly beautiful example of a typical Ladakhi village farmhouse. It has a particularly impressive shrine room, and large kitchen. Behind the house, the road rises easily to a col which looks down into a dizzying gorge. The route undulates along a broad "shelf" of rolling hillsides which are basically the top of your side of this stupendous gorge. You walk over a small pass, the Chuchokhuri La, 4,005m/13,140ft. It is about an hour and a half to here. There now follows a steep descent to the Zanskar River far below. As you get lower, you will be able to see the river, which is a very pretty turquoise blue colour, twisting its way through its own gorges. Soon you come to an ancient wooden cantilevered bridge high above the river, which you cross. It is actually only about 2¾ hours from camp to this point. Look out for the natural stone xylophone by the small chorten here - try hitting the stones to hear its clear metallic sound. You now have the start of a big climb in front of you, but will only complete part of it today, and it will only take approximately an hour to get to the village of Nyerak with a small temple above the main village. You will look for welcome shade here beside the small stream for lunch. In 2018, the group discovered the perfect camp spot which is 1½ hours above Upper Nyerak on an open flat area, close to small green wooden valley. Day 18 - Cross the Labar La Pass, 4,925m/16,158ft and trek to river camp - 8-9 hours. From Camp you have to grit your teeth, put yourself on autopilot, and trek slowly upwards. It is one of those paths where you think the pass must be after the next rise, only to find that it isn't. At one point you follow a disused watercourse that come to the two small ponds that used to be the camp site in previous years. From the two (probably dry) ponds it is a steady pull past two little tops to the main pass, which is reached in just under two further hours. You now head down into really remote mountain country possibly with the chance of sighting bear tracks on some snow patches, and lots of evidence of ibex/blue sheep. You are now heading down into the depths between imposing rocky mountains, with scree slopes on either side, made all the more dramatic by the feeling of complete remoteness. You head over a small pass wondering what might be on the other side as the impending cliffs look like they will block the way forwards. Reaching this second pass, mountains with gigantic contorted strata lie ahead and there is a steep narrow descent between two unusual white cliffs. It looks like the Gods have literally torn the two cliffs in half. It takes a little under four hours to be between the jaws of these two cliffs. Having passed through, you find yourself suddenly out of the mountains and into a sharp valley with a river running in its flat base. There are the usual stunted willow and bushes, and on either side there are eroded conglomerate strata very often shaped as pinnacles with large improbable boulders perched on the tops of the pinnacles. You wander happily down the valley to find even more weird pinnacles the further down you go. You will stop on one of the wider sections of river terrace here to camp tonight reflecting on the lengthy ascent you completed this morning, and the corresponding impressive and considerable descent you have made this afternoon. Day 19 - Trek down river and gorge to Namtse La Sumdo - 6-7 hours. Today will be another wonderful and interesting day. Leaving camp you gently descend, criss-crossing the river among the willow before coming upon an intriguing very narrow rocky gorge with a massive chock stone above you. Just beyond here is a steep rock step on the left side, which has been made passable by the ingenious placing of branches and large flat rocks. It may be that the crew has to re-build part of this in order for the horses to ascend. You soon drop down to the riverbed again, boulder hopping across the stream. Further on, the path takes you steeply up to the left on a well camouflaged route that picks its way through a jumbled section of fractured blocks to arrive high above the river junction hidden in the chasm below. You pass an impressive upside down V shaped geological fold as this exciting exposed path now bends south east on a downwards traverse to the river and the only wet river crossing of the day. Here you scramble steeply up again to traverse the shaley trail high above the river where amazing rock slabs - smooth, flat, gigantic - cut across the landscape. The path is occasionally very narrow and you will need to place one foot carefully in front of the other. In 2018 the horses also followed the high way but previously they have taken the route along the river and the bags had to be unloaded and manhandled past a difficult section. Looking down you see the incredible slotted canyon, barely one animal width and maybe 200 yards long, which the horses must pass through if they take the river route. Finally you leave the gorges, following the valley gently upwards to the flat open campsite on a plateau sited under striking ranks of rock pinnacles. Day 20 - Cross Namtse La, 4,465m/14,649ft, descend to Honia, 3,525m/11,565ft and trek to meadow camp before Zangla, 3,485m/11,434ft - 5 hours. Your trek begins today with a steep little pull up to a tiny "pass". This takes less than 10 minutes, and beyond stretches a delightful small valley no more than three of four hundred yards across. The flat blottom has a small stream and is full of stunted willow. On either side are conglomerate pinnacles of all shapes and sizes. The path up this lovely valley rises gently and you spend about two hours walking up, occasionally hopping across the stream, sometimes walking through the trees, until the stream and the trees are about to peter out. The route rises up the now dry valley and gains a dry gulch. The way to the pass is not obvious, but you turn to the right and continue walking up a dry valley. The pass arrives unexpectedly and the way ahead looks steep and uninviting. It's about 3 hours to the pass from the camp. Again, grand scenery and giant cliffs. It is stony underfoot nearly all the way down and care needs to be taken as there is potential for ankle twisting in this section. So, now it is less than 3 hours down to the Zanskar valley and as you get closer to the bottom of the gorge, there are phenomenally impressive 1,000-1,500ft high vertical walls on the right. Honia is a place with one house and a lot of stone-built yak pens. Just as you get out of the gorge, there is a well-built wolf/bear trap. Quite suddenly, in fact, you come out of the confines of the gorge, and the Zanskar valley and river is spread out below. You have arrived at the Kingdom of Zanskar! After so long in remote and uninhabited country, it is a bit of a shock to see a road again, although there is almost no traffic on this, and as you walk along it to your rest campsite you will may see no more than a couple of vehicles. However, it is a pleasant walk now on the level for less than one hour to a camp site on meadows beside the Zanskar River a couple of km before the village of Zangla. There are two water springs here, a clear one for cooking, and a clear water but weedy one for laundry etc, and probably you will complete your laundry this afternoon, so it's all completed and drying before the full day off tomorrow. Day 21 - Rest day in Zangla. Possible visit to Padum. It is good to have the luxury of a day off. Perhaps a slightly later start to the day and more time to wash bodies and clothes and the crew might well set up the mess tent as a place where you can strip off and wash - hot water should be plentifully available. We will arrange a vehicle round to this point to re-supply you with fresh vegetables and other necessities; therefore a vehicle will be available to drive you into Zanskar's main township of Padum. It is only about an hour's drive. Assuming he is at home in Zangla, you should be able to visit the King of Padum, Punchok Dawa. Mountain Kingdoms Ltd supported Punchok Dawa in his efforts to build a traditional bridge made entirely of interwoven twigs on the edge of the town of Padum. This project took 5 years to complete. Punchok and his wife, Dolma, used to live in a large house in the old part of town and not far from the place where the traditional bridge has been built, but more recently he has moved to Zangla. Punchok Dawa himself is a retired schoolteacher and therefore speaks very passable English. His stories of his ancestors and the history of the Kingdom of Zanskar make fascinating listening. According to Osmaston & Crooks, two noted British scholars of Ladakhi culture, he is a direct descendant of the early kings of Tibet. In Padum there are 3 very basic internet facilities and you could also catch up with your emails and maybe have lunch at one of the hotels in town. Hotel Ibex has slow service, but a pleasant open garden to sit in away from the noise of the town's main road. Perhaps visit Karcha Gompa after lunch and return to camp in the afternoon. Day 22 - Trek to Sumdo before Charcha La, 3,845m/12,615ft – 7½ hours. It is 45 minutes easy walking to the village of Zangla. There is an interesting large boulder on the path up to Gompa, marked with hundreds of line drawings of chortens. In 2018 the group visited Zangla Nunnery School and were invited in for breakfast of Tibetan tea and chapattis. From here the path leads up and past the old castle, which is perched high above the village on a buttress of rock. It is in a dilapidated condition, but some Hungarian archaeologists have been attempting some renovation in recent years. The famous explorer Alexander Csoma de Körös had lived in the castle during his time in Zanskar. It may even be possible to look inside if anyone can be found with the key. It is then 20 minutes easy traverse from the castle towards the gorge due east to an irrigation channel which you follow for half an hour to where the gorge proper starts. At the very beginning of the gorge is a huge fin of rock on top of which you can clearly see the remains of an even more ancient fortress. It is such an improbable place to have a castle - who built it and why? It really is an astounding feat of building and very mysterious. This place marks the beginning of the gorge. Really, we have run out of superlatives to describe the next 3½ hours. Firstly, you will need to put on river crossing shoes / sandals, as you will be wading through the river many times today. In between crossings, you just continue to walk in your river shoes /sandals, as it would be completely impractical to swap from trekking boots to river shoes /sandals every time you cross the stream. It is therefore important to have a comfortable pair of river shoes/sandals, which will also be comfortable for walking over loose rock, scree or general mountain trails between each wet crossing. You will cross the small river 18 times. However, it is never deeper than the knees (or at least that was the case in 2016). Watch out for small fish, like minnows, in small side pools. This section is constantly exciting with non-stop breathtaking cliffs and contorted mountain strata. Thrown in are the unusual and the bizarre - thin fins of rock, giant slabs arching heavenwards, narrow passages with cliffs thousands of feet high above and caves high up in the rock walls, and different types and colours of rock. It is in fact an easy hike, though rocky underfoot, and great care is needed. The river flowing down the gorge is the Zumlung Chu. There are rose-hip and buckthorn bushes all the way. Somewhere you will stop in the shade in the gorge for a quick lunch. Near the end of the path up the gorge, you rise to a natural cleft and shortly after that you are spat out and some way later come to a river junction. This is a lovely place with stunted willows. You turn left (north) at this river junction and up for about an hour to an upper camping spot at Charcha La Sumdo. There is a large open cave on the cliff side above you, reputed to be the home for some large bats - Trekking crew were calling them winged dragons! But sadly in 2018 we didn't see any of these! Day 23 - Cross Charcha La Pass, 4,910m/16,109ft, trek to Chupchak, 4,495m/14,747ft - 7½ hours. It is a big day today and we suggest an early start. It is over 1000m height gain to the pass. From camp you turn right and climb steeply up to another flat area called Charcha La Base. From there, you keep straight ahead, zig-zagging up the V shape valley before the terrain opens out again to another flat-ish shaley area. You keep going generally ahead and up, aiming for an area of sparse green tussocks, just beyond which is a rock outcrop where the path makes a distinct turn to the left. The route now becomes a series of zigzags across and up steep scree, eventually making a rising traverse left and leading you up to a rocky bluff. It's good to take a moment to look back at this point to the sweeping valley below you, the way you've just come. From here, the final steep rocky and shale section leads to the pass. If you get up early, then the sun does not hit you until after this, so you make good height gain in the shade. You actually don't see the Charcha La until you are virtually on it. The path up to it looks improbable, but it does exist! Achieving the pass can be quite an emotional experience! Again, there will be evocative views of wild, remote mountain country. Then it is off easily down and following a riverbed, which is dry to begin with. There may even be patches of snow. The stony path leads down into a deepening gorge and you will follow the river through a series of amazing tunnels. Again, fantastic rock peaks all around. Thereafter, the difficulties are over and you continue wearily down to a sumdo to camp. This place is called Chupchak, new maps mark this clearly, but if you have an old map it may have been wrongly marked. The crossing of the pass is a fine achievement, and brings you into the main river sections for the next couple of days. Day 24 - Trek to Tomto, 3,790m/12,434ft - 8-9 hours. Chupchak is at the first major sumdo (junction) after the Charcha La and from here you will walk, dry footed for two hours, to the right-angled bend, considerably further on. At the right-angled bend there is a big junction and you will turn right, but at this junction you will need to put on your river shoes / sandals again and will need to stay in them all day as there are many river crossings; in 2018 we counted 45 river crossings, often fast and powerful flow with uneven rocky bottoms (although never above knee deep), so again it is imperative your shoes are comfortable for the stony and often rough sections between crossings. You are now following down the Zumling Chu River and as the day wears on it becomes more and more impressive. You go past a side valley at one point, at the end of which is an interesting-looking big snow peak. It is rough, stony ground, and concentration is needed. At one point the gorge becomes narrower and narrower and the leviathan cliffs rise straight out of the earth in titanic twisted slabs. Look out for a Buddhist cave strewn with prayer flags in the cliff on the opposite bank. It is less than an hour from here to camp. It is a tiring day and although you come across possible camp sites, it is best to press on to a final camp which is at a junction of three valleys with another river coming in from the right side. You will camp right under the gorge cliffs with magnificent rock scenery on every side. It is a truly awesome place to camp. Today is a very long day; 29km, which although is all downhill along the river, with 900m of descent, there is still 250m of ascent over spurs and rock ridges etc, so you need to be prepared for many hours of trekking and river crossings. Day 25 - Trek to Nyari Nyarsang, 3,770m/12,369ft - up to to 7½ hours trekking depending on campsite used. A much shorter but still fantastic day! If it's possible, this may even be the best day for gorge scenery. There are river crossings the whole way so, again, river shoes/sandals needed. There are astonishing upturned strata hundreds of feet high, rich colours, even in one place bright red rock, a real powerhouse of nature, a complete wonderland. It is about an hour and a half to walk down to Tilat Sumdo. Wading through the various river crossings is a cold shock straight after breakfast! The scenery makes up for it, and Tilat Sumdo is a particularly impressive junction and you may see snow leopard tracks in the trail dust. After Tilat Sumdo you will join a different river and follow it upstream now, and this river is a bit deeper, faster and wider, and could be above knee level depending on water levels at the time. Then, after some incredible boiler plate slabs, you suddenly come to a camp site at the sumdo at Nyari Nyarsang. This is a lovely spot at a junction with a side valley and stunted willow gives some shade. However, it is a very dusty camp site, so you may continue for 2 further hrs. through an amazing gorge, and up along the valley beyond to a shaded but stony campsite beside the stream and merely have lunch here in the shade of the sumdo. If you continue, you head up yet another extraordinarily beautiful valley. The question is, "does one ever tire of cliffs that crick the neck?" You are in and out of shade, which helps on a hot, clear, sunny day. There are lots of stream crossings, but all these are boulder-hops. After half an hour, you pass between a larger than usual pointed peak of glacial conglomerate on the left and a cliff that defies belief on your right. Almost straight away, you come to some very memorable slabs on your left which are almost like a huge blister on the mountainside. Shortly after this, the gorge narrows right down, and rears up steeply in front of you. An ancient and intricate path winds its way up on the sort of path you would expect to find in a Boy's Own Annual or an Eagle comic. The path in places has long ago been engineered with old tree trunks and stone, and zigzags to a "pass" where there is a cairn of stones with upright branches and tattered prayer flags. You may have to unload the horses at this point as the path is steep and narrow and could be dangerous for them. In 2009, and again in 2016 and 2018 our boys engineered the path to an extent that the horses were able to get up without unloading, but we imagine the state of this path varies from year to year. The crux is in the first half and expect to see the horses being pushed and pulled up some sections. There will be lots of dust and shouts of encouragement. Beyond here, the gorge opens out again and you continue wandering up about an hour to a beautiful camping spot where the tents will be shoehorned in among the willows. Day 26 - Trek to Rabrang, 4,310m/14,140ft – 5.5 hours. Continue to Zalung Karpo La Base. It's around 4 hours to the old camp at Rabrang. One or two bends before the camp, the valley really widens out and a big snow peak appears on your right. It has no name on the map, but is given as 5,700m/18,700ft. You may very well see herds of blue sheep in this region. Rabrang is a nice, clear camp site on a shelf above the gravel river bed with fantastic views, in 2018 the group got to here for a relaxing picnic lunch spot, before continuing onto the Zalung Karpo La Base another 60 minutes along the valley for tonight's camp in the lovely bowl there, perfectly placed for the start of tomorrow's ascent to the pass. So you take the grassy plateau just above where you had lunch and walk along this as far as you can, before descending to the gravel bed. Before the camp the path turns left up a small slope with evidence of a small stream sometimes, and so and you could easily miss it. This then brings you quickly into an enclosed bowl. This is a delightful camp site with outstanding vistas from the ridge up behind the bowl if you feel like a walk up to watch the sun setting on the snowy peaks behind. Day 27 - Cross the Zalung Karpo La Pass, 5,090m/16,699ft. Trek to Tikyu, 4,615m/15,141ft – 7½ hours. What a name for a pass! The very name just rolls off the tongue and is very evocative; actually it means 'white stone windy pass' and you will see why when you get to the top. Leaving camp you again have the opportunity to see blue sheep today, on both sides of the pass. To begin with in front of you now is a steep gully hemmed in by perpendicular rock walls. The path zigzags up on the right side of this and the positive thing to think is that at least you are going to knock off some of the height pretty quickly. You do, in fact, climb some 200 metres in half an hour. Coming out of the gully, the ridge soars above, looking a long way above you, but at least the path is gently sloping, almost level, and you follow this for 45 minutes, gaining only 120 metres. You will however not ascend the ridge directly in front of us heading to the pass but will turn slightly right and head up the subsidiary pass slightly to the south before heading up over the main pass 5 minutes above this one. So firstly you come to a funny, narrow slot in a dry watercourse, which is about 100 yards long. The real climb to the pass starts from the end of this slot. It then takes you about an hour and a half of patient, slow zigzags to reach the crest of the ridge. The path is good and nearing the crest there may well be a fair amount of old snow. Having gained the ridge, you hurry on up to its true summit, not far, where there are piles of prayer flags and a 360 degree view; in fact, a fabulous panorama. Dig out the map to identify the mountains. The highest mountain in the Zanskar range, Kang Yatse, 6,400m/20,997ft, does not look the highest, but can be identified because there is a very striking steep snow ridge leading to the summit which you look face on at from the pass. In fact, many of the satellite peaks for Kang Yatse look very attractive and are contained mainly in one big group. Climbing the Zalung Karpo La will give you such a sense of achievement, and we hope the weather is fine and sunny so that you can enjoy the magnificent views for as long as you want. With an eagle eye and a pair of binoculars you can, in fact, see mount Nun, 7,135m/23,410ft, in the far distance and it is with a sense of pride you can look at it and know that you have walked almost all the way from over there. It is now an easy path down through a bare valley. The valley becomes prettier the further down you go and in under three hours you arrive at Tikyu. It is a nice camp site next to a stream on a grassy area. But again it's a good idea to continue down the valley for another 90 minutes further to Langtang Chen 4,310m, another airy campsite, with burbling fresh stream beside plenty of grazing and cliffside views, providing a slightly less exposed, and lower, but still cold campsite for tonight. This is also a good location for tomorrow's start. Actual walking time today 7½ hours. Day 28 - Cross Konka Nongpo La Pass, 5,190m/17,027ft - 6½ hours. Yet another great day! Although the pass is exactly the same height as the Zalung Karpo La, you don't have as much ascent to make to cross it. From the campsite, the path diverges. One path continues down towards the Markha Valley and your path rises slowly away from the river and contours around the mountainside. Here you will notice granite boulders for the first time. The path climbs in a succession of "shoulders", five in all. There is an ascent of 725m/2,379ft to the pass, which takes about three hours. As you climb higher, the back side of Kang Yatse II, 6,175m/20259ft, appears. Again, there is a good chance of seeing ibex, or blue sheep today. The last 50ft or so, to the chorten on the pass, needs some care and now you can look down towards the plains at Nimaling. It is said that you can see Stok Kangri, 6,121m/20,082ft from here, but you may find it difficult to identify. You may remember this is the peak you can see from Leh. You carry on slowly down now, and easily to Nimaling, where there is plenty of choice of camp sites. On the way you will pass beneath the snow peaks of Kang Yatse and will enter and cross two deep side valleys, the second of which is the Kang Yatse Base Camp, and you may see some tents here from late season teams attempting one or more summits. The path across these hillsides is indistinct, but keeps on in a roughly straight line until you can see Nimaling settlement, and tents clearly below you, and you can then descend through the rocks and abundant pica runs to your final camp site. In the summer months there is a permanent tented settlement here, consisting of people grazing their yaks on the summer pastures, but also providing trekkers with a small shop. If you are extremely lucky, there might even be a bottle or two of beer available. You are now nearly at the end of your extraordinary travels through Ladakh and Zanskar and it is time to organise an evening party for your Sherpa crew and horsemen. Your trek leader will organise a tipping ceremony and it will be no surprise if the cook produces an end of trek cake. Although you have one more long-day's trekking to get to the road-head, you will then part company with the crew, and so it is best to organise a party on this night. This is your highest campsite at 4,850m/5,912ft. Day 29 - Cross the Kong Maru La Pass, 5,216m/17,257ft, end trek at Chogdo, 3990m - 6 hours. Drive to Leh. This is a very long and tiring day, but actually, although the pass is the highest that you cross in the whole of the trek, because you have slept at Nimaling it is really not that far to climb, less than 500m to get to the pass which you can achieve in under two hours. On a good, clear day, the peaks of the Karakoram are visible in the far distance. The prospect of hot showers, cold beers, comfortable beds and clean clothes keep you motivated on the long but fascinating descent. In any case, this is a day that is very beautiful in its own right, a totally magical landscape all the way down, and quite different from anything you saw in the gorges section of the trek. Here you see an incredible variety of colours as you trek down to Chogdo. The greens and purples are particularly amazing and in some parts the river bed is just all green/blue stones. There are also extraordinarily impressive vertical straight strata with big fins of rocks and eroded pinnacles with large stones on top. There is one lovely section after a narrow slot with unusual cliffs and green stones in the river bed. Later there are vertical sections of strata, an impressively built stone embankment and path on the north side, a ridge of strata looking like the Great Wall of China on the Southern ridge and sections of Hoodoos and fascinating geology all around you. The transport will meet you at at Chogdo, 3990m. You might like to stop for lunch at a place where there are a couple of cafes underneath old parachutes. The path from here is easy, and gentler sloping down pretty valleys and eventually a small settlement comes into sight and you breathe a sigh of relief as you know it is not too far from here to where the vehicle will be waiting. It is strange to be back into "civilisation". Sitting in a car for the drive back to Leh is almost an alien experience. Day 30 - At leisure in Leh. Time to relax, maybe put your clothes in for laundry, shop for presents for family and friends and just revel in that excellent feeling of satisfaction of knowing you have completed such a long, hard trek and to reflect on your great achievement. In the evening, we suggest a celebration meal - you might like to consider a relatively new restaurant that has started up, run by two princesses. It has a very nice ambience and good food but it's not easy to find and we suggest you do a little recce during the daytime to find it. Day 31 - Fly to Delhi. Transfer to hotel. Afternoon at leisure. It will be an early morning flight right over the top of the Greater Himalaya down to Delhi and on the way you should be able to pick out some of the places that you have trekked through in the last three weeks. In Delhi, you will transfer to your hotel and have the rest of the day at leisure. Day 32 - Group Transfer to airport. Fly to London. Today you will transfer to the airport and fly to London. I particularly enjoyed following the Zumlung Chu through the canyons. This part of the trek provided the ‘adventure’ component of this trip. I found the river crossings fun despite the fact that on those particular days we were crossing the river 20-30 times. We hardly saw any other trekkers. It was good to get way to remote areas. The setting of the monasteries perched on high the cliff sides was just spectacular. Overall, I thoroughly enjoyed this trip. I like the fact that Mountain Kingdoms are able to offer innovative and interesting routes on their treks which few, if any, other companies offer. We enjoyed the unusual routes and destinations. High quality rather than low cost. What I enjoyed about travelling with Mountain Kingdoms was the superb “out of the way” routes. Well supported trek. The whole trip was great - thoroughly enjoyed - well organised and well lead! Excellent does not do a good enough description of the quality and variety of food we were given! Equipment standards were excellent and very comfortable. The trek leader was exceptional, was organised and knowledgeable. I had a great holiday and a great experience that will bring me back to Ladakh and Zanskar. Thank you everyone at Mountain Kingdoms.